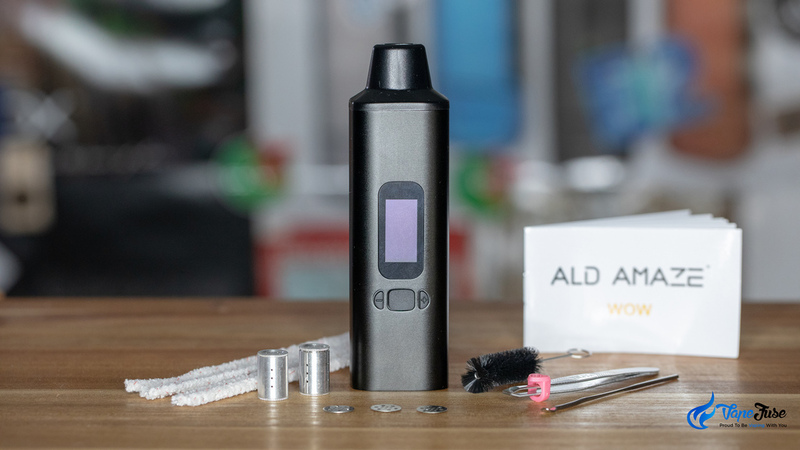 ALD Amaze has recently released the updated version 2 (V2) of its popular WOW portable vaporizer. 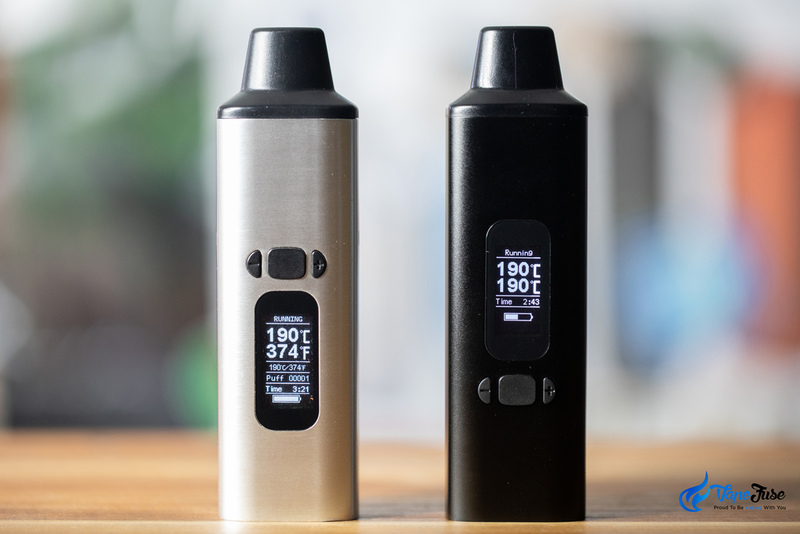 We have been testing out the new device and if you are interested in what’s new and what’s changed in version 2, keep reading, we’ll go through the updates one by one. We’ll compare the new V2 to the original ‘old’ version. 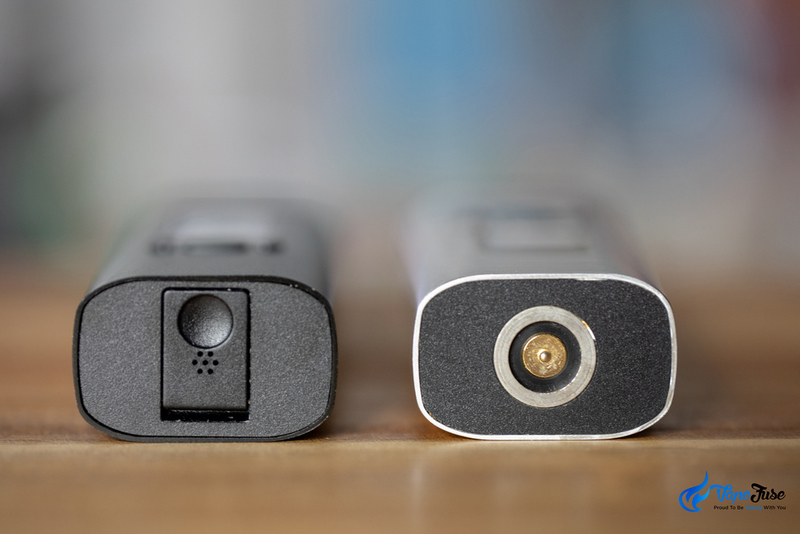 The black device on the pictures is the V2 and the silver one is the original WOW. The packaging has been updated although the ‘old’ box (on the right) looks just as good to me as the new one (on the left). 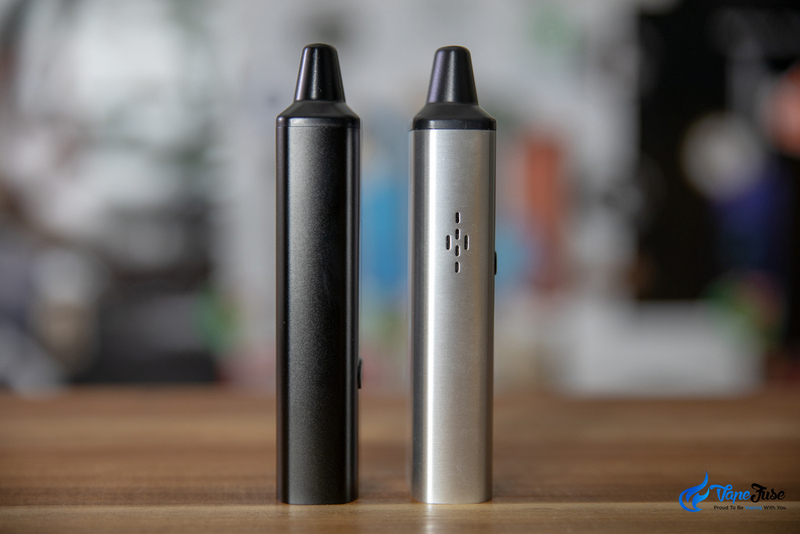 The device itself has gone through a design change as well. Looking at it from the front, the most noticeable is that the buttons have been moved to below the screen on the V2. Looking from the side, the air intake opening grills have been removed as you can see below. The air intake is now on the bottom, fully isolated from the electronics. You can see the air intake holes of the new model in the below pic. The magnetic charging dock has been replaced with a 5 pin USB charging cable, making way for the isolated air intake path. To expose the charging inlet, you just have to flip that little hatch door on the bottom. This is an awesome update in my opinion for a couple of reasons. First of all, the magnetic cable can become a bit of a pain if the cable breaks. When you use the cable a fair a bit, they tend to break down after a while. When the magnetic charging cable dies, you have to source one and until you receive the new cable, you can’t charge your device. With the new 5 pin USB cable, you can simply use a Samsung phone charger or any other micro USB cable. They are pretty popular and easy to get hold of. 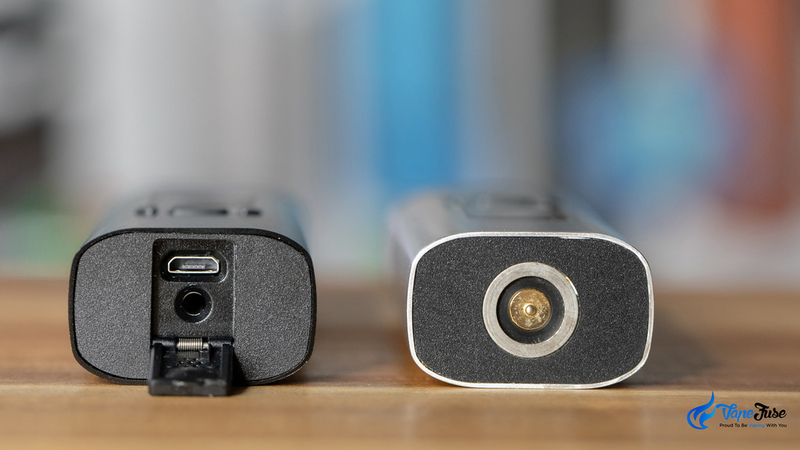 The second reason why we welcome the change over to micro USB charging is that in my opinion, it is more reliable and lasts longer. The other change that we like is the simplification of the screen. The original version displayed the temperature in Celsius and Fahrenheit, which was unnecessary. You either use Celsius or Fahrenheit but you don’t really ever need both. It was taking up space on the screen for no good reason. Showing only one temperature unit made space for the set temperature to be displayed in a larger font, making the display a lot more user-friendly in my view. The puff counter has been removed as well. I didn’t mind that on the screen, it is a nice little feature to have to be able to keep track of the number of sessions that the device is used for. However, even though it’s gone, I still much prefer the new screen. The chamber remained exactly the same ceramic baking oven, no changes there. The user’s manual has also been updated in line with the new box design as you can see below. 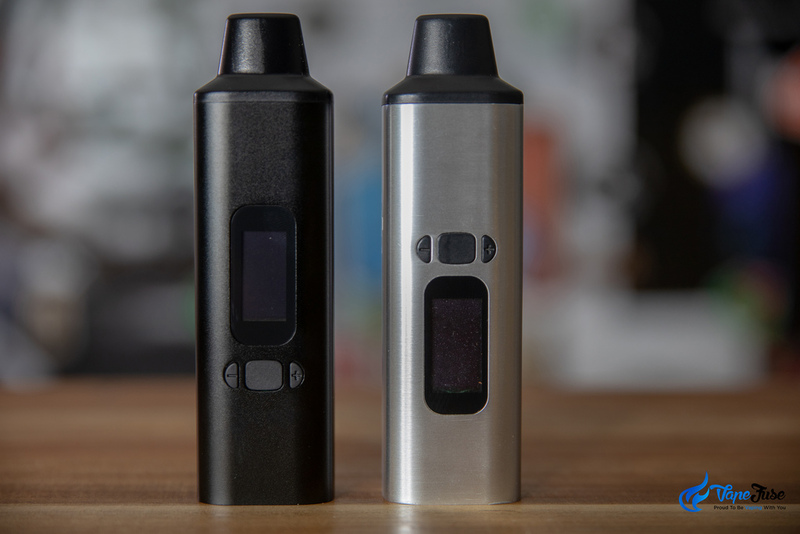 The last significant update to mention is that haptic feedback has been added, so the new V2 WOW vibrates when it reaches the set temperature. 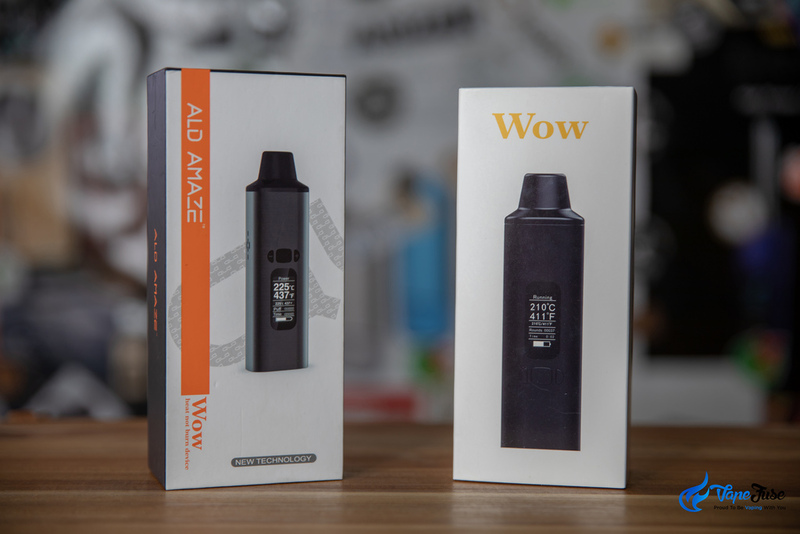 This brings the new WOW in line with most vapes these days by letting you know when its good to go. The inclusions in the box are very similar, although you get a tweezer-like packing tool and some pipe cleaners as well. I don’t think you’ll have to clean the air intake path a lot, however, you get 5 of those pipe cleaners in the box. The temperature range is between 100 Celsius and 260 Celsius just as it was on the original WOW device. 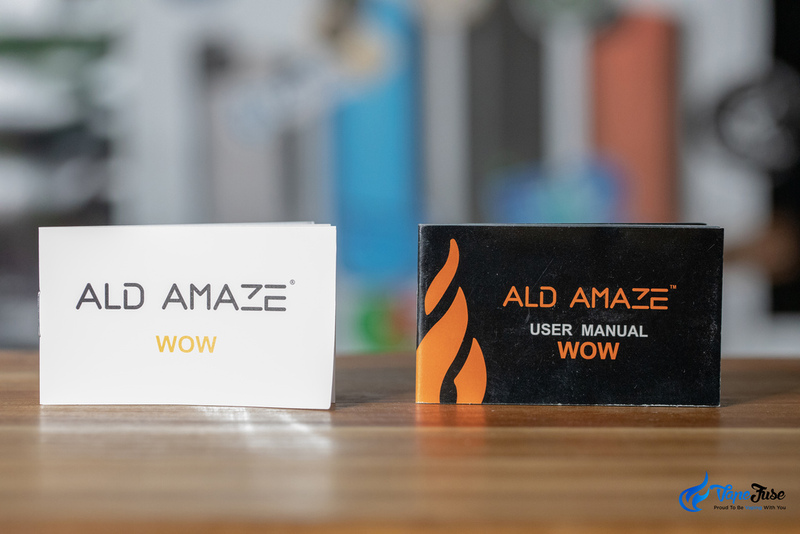 The ALD Amaze WOW V2 performs very similarly to the original WOW, however, the improvements are welcomed to the device. I find it easier to use the screen and appreciate the vibration feature as well. I’ve got used to it with other devices and I believe it is a handy little feature to have. We are also very pleased with the change to USB charging. Ultimately, it is going to mean less problems with the charging cable and the charging doc. 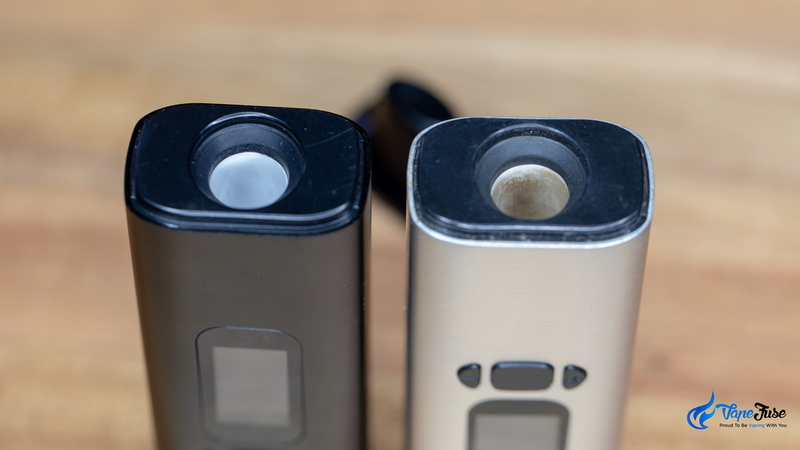 Overall the WOW V2 is a great entry level vaporizer that is reliable and does the job at a very good price.